Once in a while we have guest contributors for the Speedy Tuesday topic. Today’s it is Boris of the Watches and Art blog and contributor to WatchTime.net. 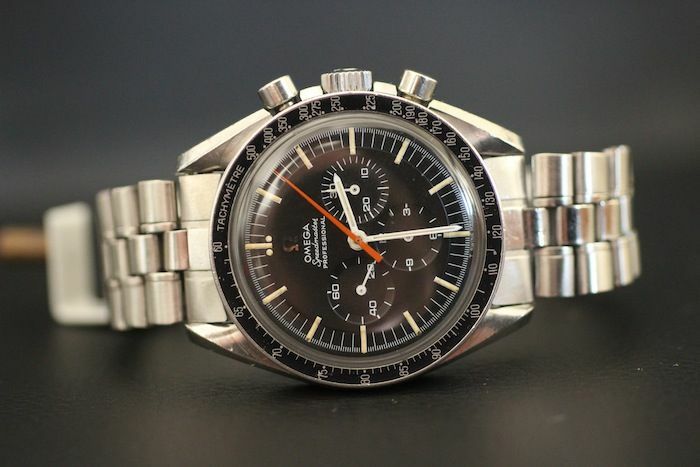 Just recently, he also contributed to Speedy Tuesday with his wonderful Omega Speedmaster ref. 2998-61. 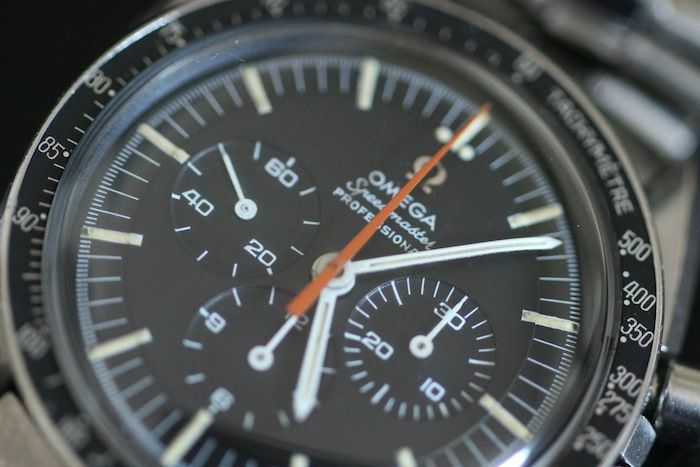 Today, Boris contributes with a story on his Omega Speedmaster Professional 145.012, supposedly the same reference that Buzz Aldrin had in space. Although it has never been confirmed and we’ve seen other references for Adrin’s watch as well. Note – In the meanwhile we know that Aldrin and Armstrong wore 105.012 references and Collins wore a 145.012 during the Apollo 11 mission. This has been confirmed to us by Omega. 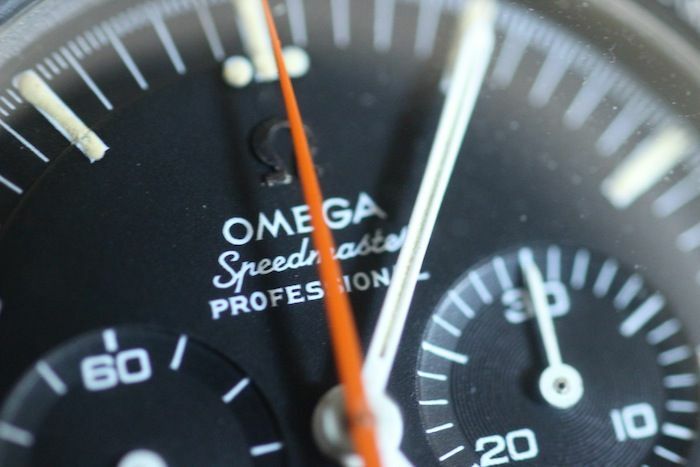 While the Omega Speedmaster was originally designed as a sports and racing chronograph, starting in 1965 the Speedmaster became flight qualified for all NASA manned space missions. In 1969, on July 21st, NASA astronaut Buzz Aldrin wore his Speedmaster when setting foot on the moon. 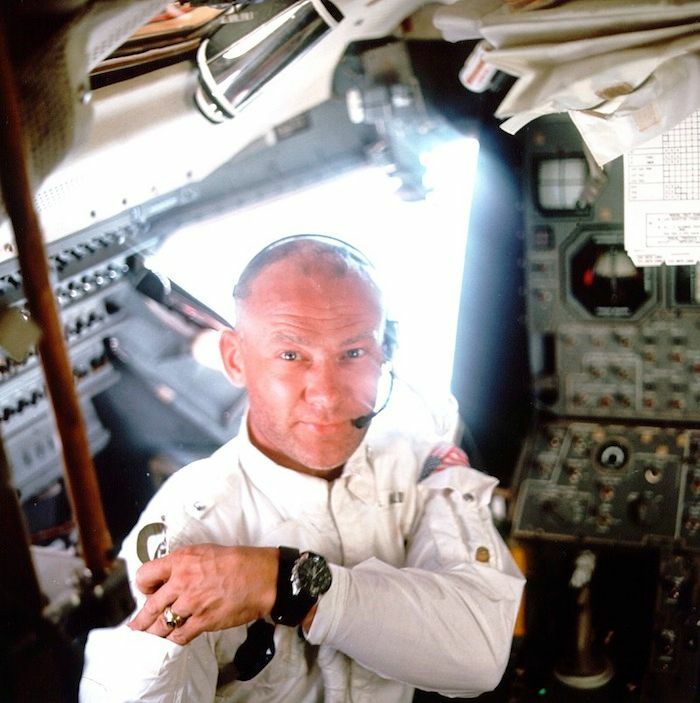 While Buzz Aldrin was not the first person to set foot on the moon, he was the first person to wear his Speedmaster when setting foot on the moon. The reference is not known for sure, but it is speculated that it was reference 145.012. 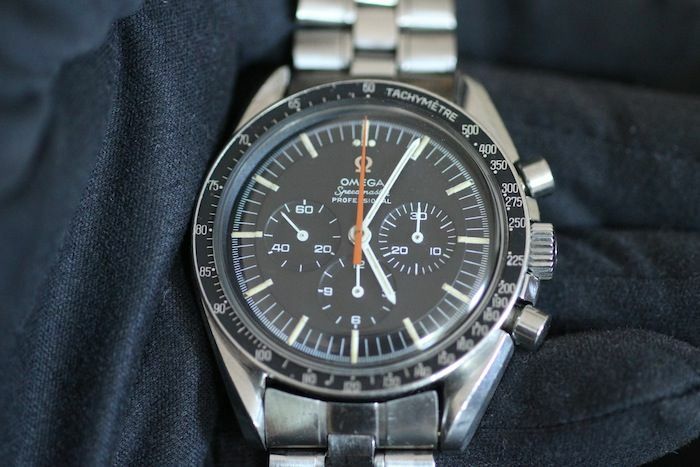 My Speedmaster is a reference 145.012, with a 26 Million Serial number dating it to 1967. This Speedmaster Professional is similar to the watch that Buzz Aldrin wore on his trip to the Moon. As you can see this Speedy carries a reference 1116 bracelet which comes from a later period but still wears great on this watch. Originally, a reference 1039 bracelet was mounted on this reference 145.012 Speedy. Original bracelets are getting scarce, especially in wearable condition, and the 1039 is starting to command a very high price. The main characteristic of this Speedy is the chronograph seconds hand. It is not the usual white hand, but an orange color. 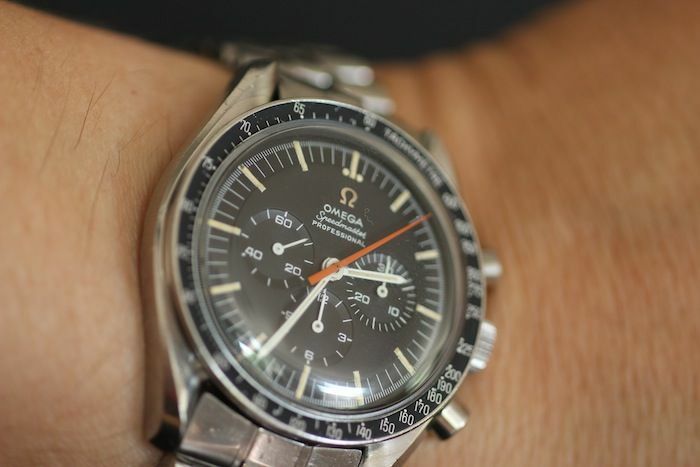 I have spoken to several Speedmaster collectors to make sure that this is a correct hand, and they confirmed this. In addition, I like the looks of it, it gives the watch a special touch, and simply adds to the stunning vintage patina of this Speedy. This Speedy carries the caliber 321 which really belongs to one of the most beautiful and demanded movements. I guess it is not really necessary to state how high in demand these old Speedies have become, considering their history and heritage. The reference 145.012 is getting harder to come by in nice condition such as this one. This watch is for sale at Watches and Art. It can be shipped internationally for those interested in it. Feel free to contact Boris per e-mail: info@watchesandart.com. Don’t forget to join our Speedy Tuesday page on Facebook! Daily updates! Click here and Like!